The modern vehicle is an advanced piece of machinery. Every moment it’s on the road, sensor are telling the fuel injectors how much fuel to flow, sensors are telling the transmission exactly what gear it should be in and ABS is telling the brakes how much force should be applied to the rotors and calipers. The mind boggles on how everything works together. But sometimes things don’t go as planned and you need help immediately. Elkhart Mechanics can run all the onboard diagnostics to see what exactly is wrong and then fix it in a timely and low cost manner. On board diagnostics basically communicates with the vehicle and all it on board sensors, relays and the like and tells the mechanic what is wrong so it can be fixed easily. Saving you time and money. The on-board diagnostic system eliminates much of the guesswork that drivers and mechanics had to do in the old days. Volkswagen made the first OBD-equipped car in 1968, and the systems gradually gained acceptance. 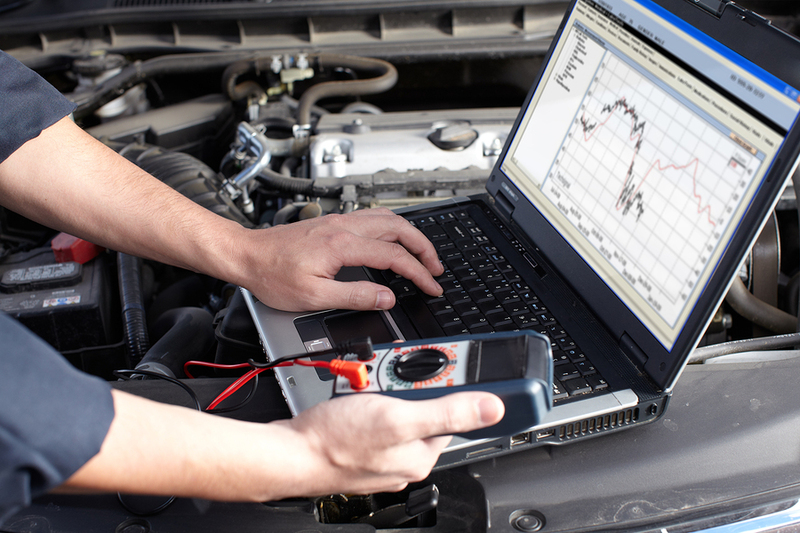 All commercially produced cars made since 1996 have an on-board diagnostic system. The earliest on-board diagnostic systems just had one light, sometimes called a tell-tale or an idiot light, that indicated that there was a problem, but it did not specify what the problem was. Fortunately, the days of idiot lights are gone, and new on-board diagnostic systems have a variety of symbols that light up on the dashboard to alert drivers to various problems. scan tool. This will tell us the source of the problem, so that we can fix it and send you back on your way.